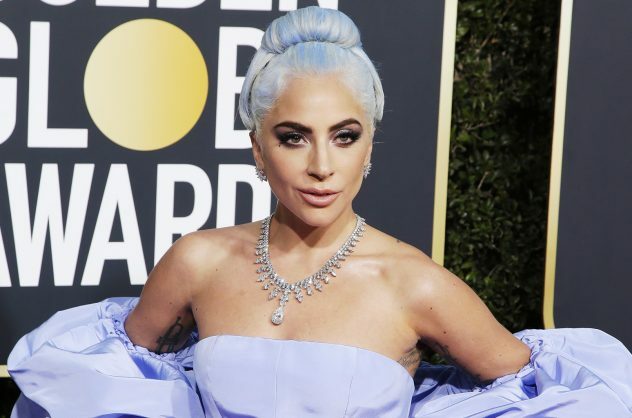 Even Lady Gaga rocked icy blue hair matching her princess ballgown at the Golden Globes. Periwinkle is making a comeback after enjoying success as a makeup trend in the 1990s. Work this lavender-blue shade into your look this season with some inspiration from five celebrities. The singer-actress rocked icy blue hair matching her princess ballgown at the Golden Globes back in January. The singer put her own spin on the trend with a baby blue pedicure that complemented her outfit at the iHeart Radio Awards last week. The makeup mogul teamed up with Adidas for a fashion collection called “Reveal Your Voice”. She shared a snap of herself wearing a lavender blue shirt from the brand. The actress went all out at the Oscars this year, matching baby blue eyeshadow with a Louis Vuitton dress in the same shade. The British supermodel opted for a pop of colour with periwinkle eyeshadow when she attended a London Fashion Week party last month.